Norris Landscaping specializes in and provides expert sod installation services. Our professional landscape crews have considerable experience with sod installation and management oversight. Securing successful outcomes require that a precise process be followed, including grading, drainage, tilling the soil, and the actual laying of the sod. 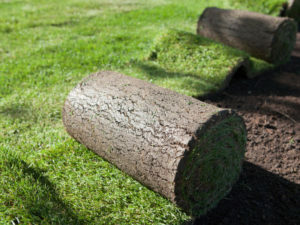 For larger projects, we use our sod installer in order to expedite activity and lower your costs. Norris Landscaping has established partnerships with several reputable sod farms that offer A-grade sod only. Please call us for a free estimate, or complete our contact form. We will be happy to answer any questions you might have.